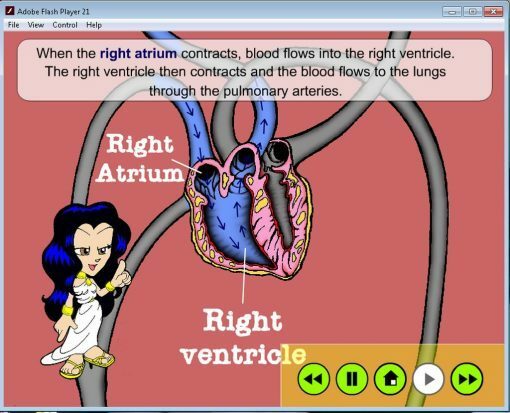 Multimedia learning materials have been shown to improve knowledge acquisition and retention in the classroom. 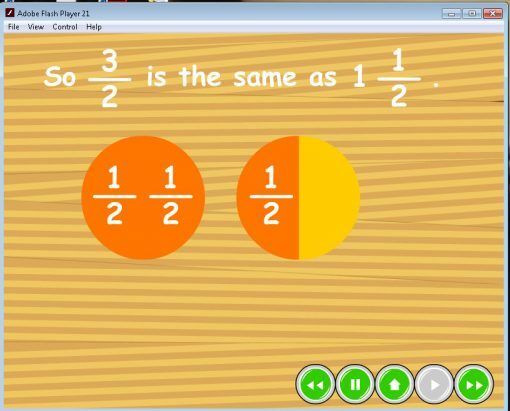 Mathematics and science instruction, in particular, benefits abundantly from supplementing traditional methods with interactive multimedia tools. The Department of Science and Technology’s Courseware for Mathematics and Science not only helps facilitate knowledge gain and retention but also enhances learner engagement and conceptual understanding. 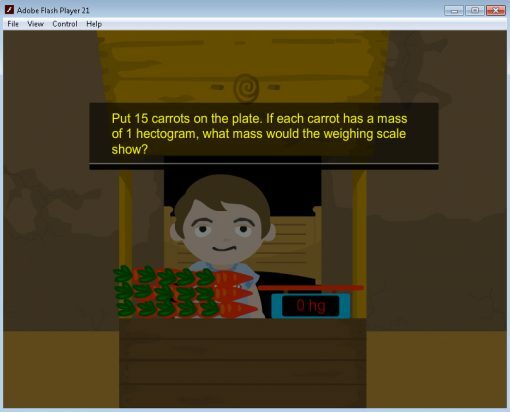 Developed in collaboration with the Advanced Science and Technology Institute (ASTI), the National Institute for Science and Mathematics Education Development (NISMED) and the Science Education Institute (SEI), the DOST Courseware for Math and Science includes animated interactive modules aligned with the K-12 curriculum of the Department of Education. Each module begins with a lesson, followed by exercises to increase understanding of the lesson and ends with tests to evaluate comprehension. 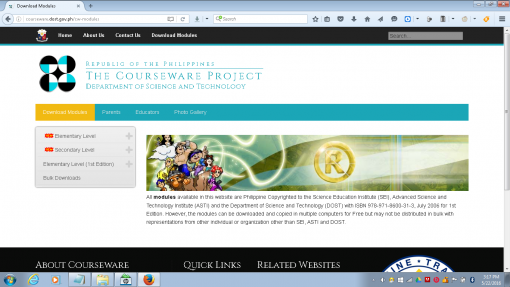 You may download the DOST Courseware for Math and Science by clicking on the Download Modules tab on the site’s homepage. 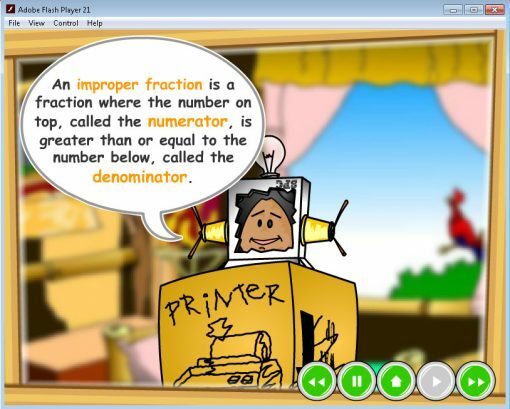 The 1st Edition of the courseware has math and science modules for Grades 1 to 6., while the 2nd Edition has modules for Math Grades 1 to 8, and Science Grades 7 and 8. 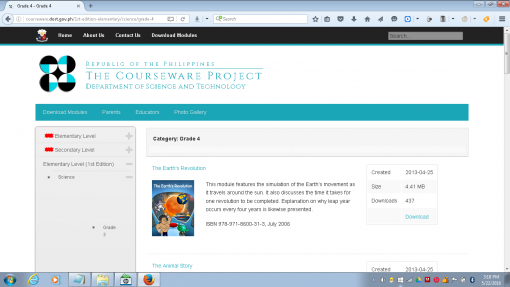 Modules for DOST Courseware for Math and Science may be downloaded individually or bulk. 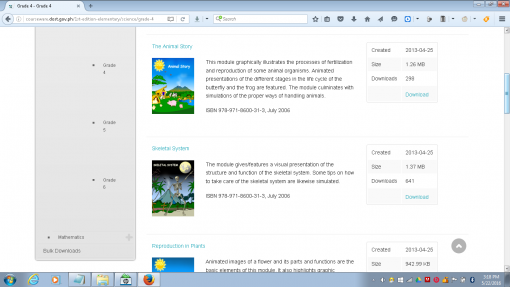 Bulk downloads combine modules for each grade level, while individual downloads are single modules focusing on one topic. 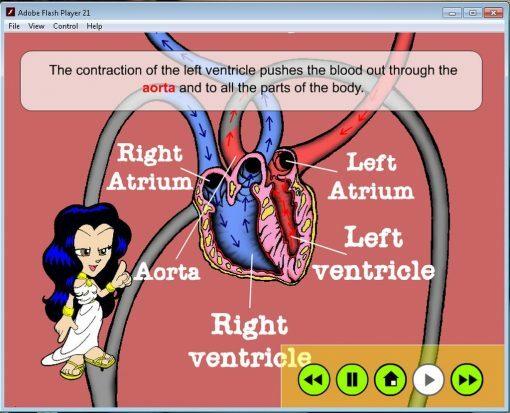 The modules are written in Shockwave Flash (.swf) file format, and the site recommends that you download the Courseware player to be able play them. Problem was no matter how I tried, I couldn’t download the Courseware player. I’d either get an “empty” .zip file (with 0kb file size) or an “the archive is either in an unknown format or damaged” error message. You don’t need the Courseware player to run the modules. A regular web browser with Flash enabled will do. If you prefer a standalone .swf player, I suggest you download the Flash Player Projector for Windows here (for Mac users, get your Flash Player Projector here). 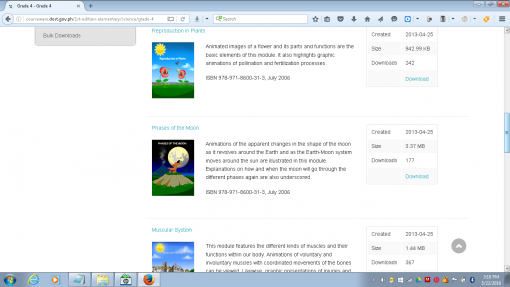 I downloaded the DOST modules for Math and Science, and I gave a couple of them a test run. The animation is eye-catching without being distracting. The voice-overs/audio explanations sound clear and are mostly reasonably paced, although they are sometimes slower than natural speech, resulting in almost robotic monotone. I’m delighted that the settings and characters have a local flavor to make it easier for the kids to relate to them. 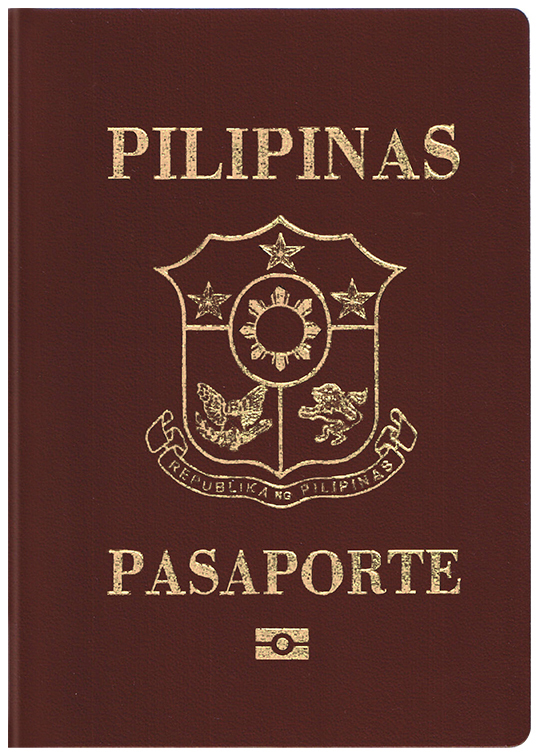 The lessons are presented in story or challenge formats. 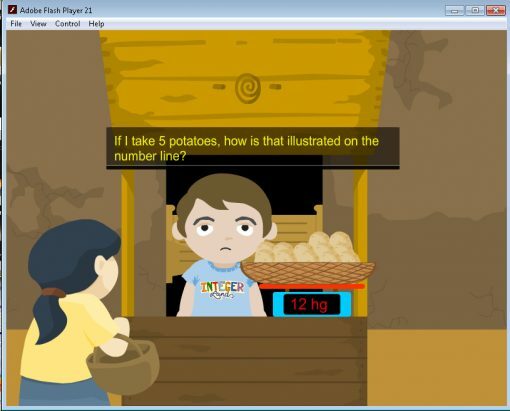 In the Subtraction of Integers module, which is set in a vegetable stand, the student manipulates the carrots and potatoes to “see” what happens when a number is subtracted from another. The module demonstrates simple subtraction but leaves out the tougher matter of subtracting, say, a negative number from a negative number. For a module written for Grade 7 Math, I find it rather wanting. 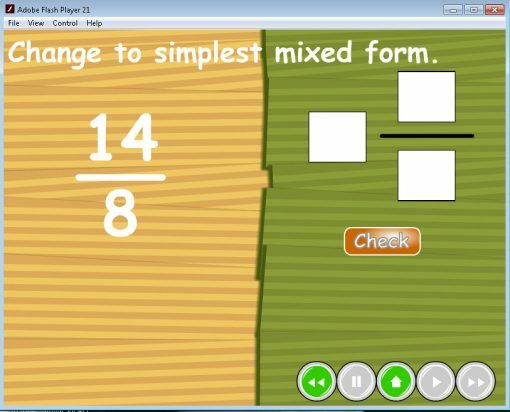 “Changing Improper Fractions to Mixed Forms” does a better job of going about its task, but there are not enough examples. I must remind myself that these modules meant to supplement classroom teaching, not as standalone self-instruction tools. 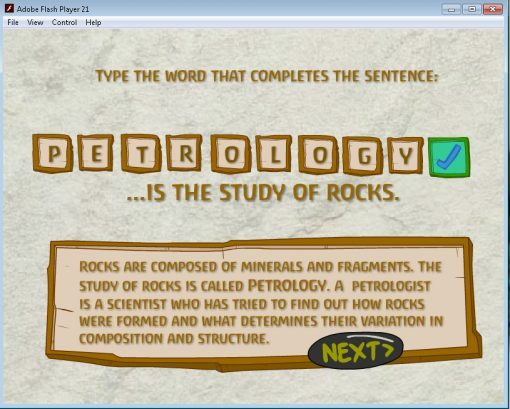 It’s in Science where the DOST Courseware really shines. 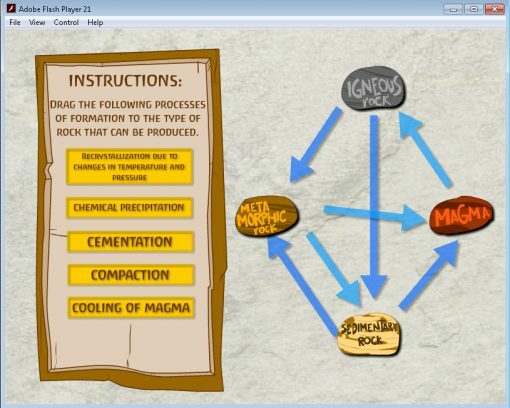 The “Rock and Rock Cycle” module was both challenging and informative. 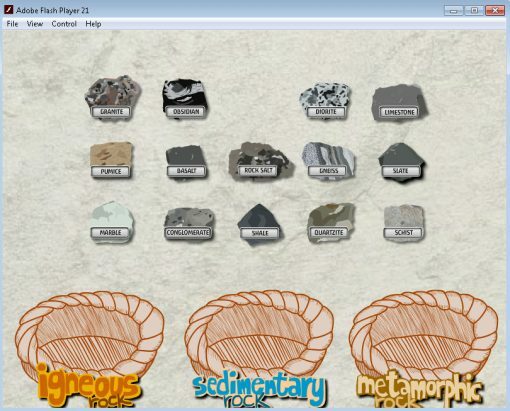 I had quite a tough time in one exercise where I had to sort the rocks into igneous, sedimentary, or metamorphic. 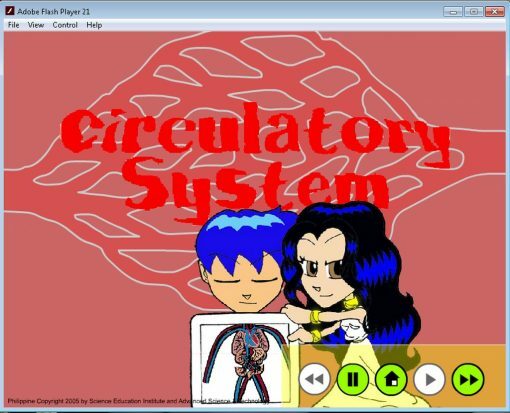 The “Circulatory System” presents a simple and easy-to-comprehend explanation of how blood is pumped by the heart. 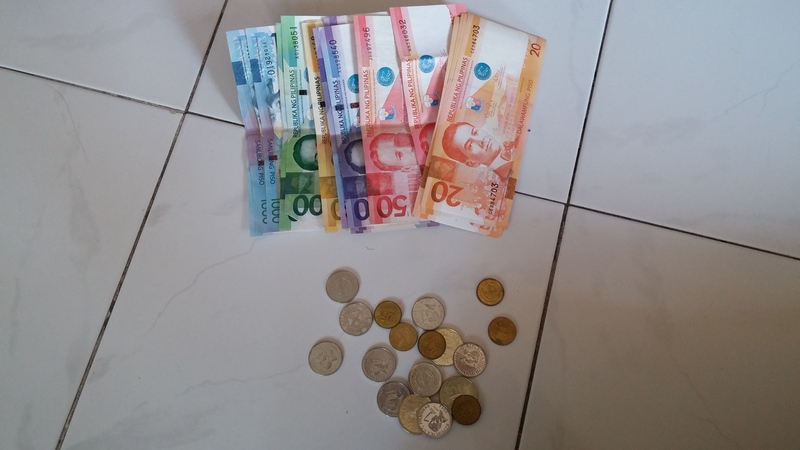 All in all, the DOST Courseware modules are a welcome addition to a classroom teacher’s bag of tricks. 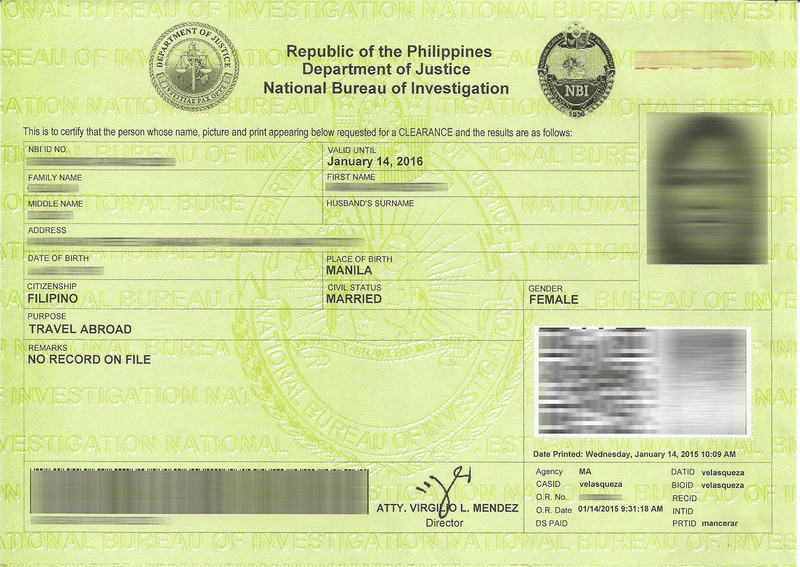 It can be quite a challenge to hold the attention of our multimedia-savvy students these days, and the DOST modules look very capable of helping the teacher do that. To reiterate, the modules are not meant to be stand-alone, self-teaching modules. They work best as supplements to direct instruction. They’re also incredibly useful for homeschoolers and tutors looking for interactive demonstrations of math and science concepts. Do you have a Courseware for Grade 7 and Grade 8? 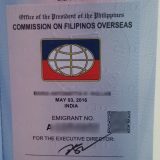 I wanted to have that version because this version looks like for Grade 6… I hope you read this and make some updates, Thank You! Hi. I apologize for not updating for a long time. I’ve been busy with my other other job lately. I suspect that I have the same versions that you’ve downloaded because we are getting them from the same source, which has not been updated, as well. In fact, the site is inaccessible at times. 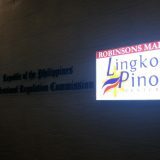 It seems that since the change of administration, this project has fallen by the wayside.